When Too Faced bring out newness I'm diving in face first! 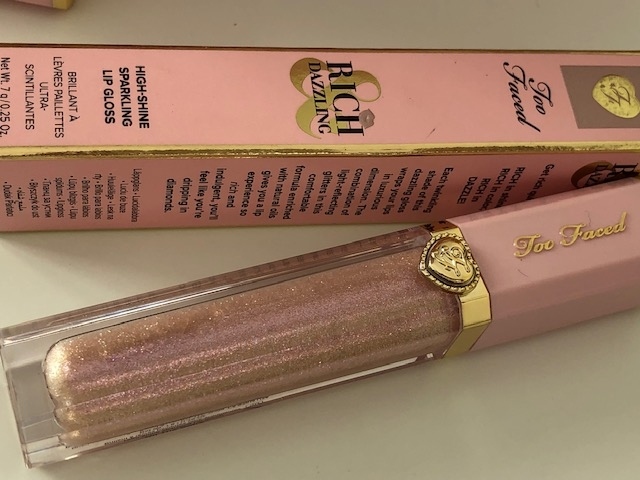 The new Pretty Rich & Dazzling High Shine Sparkle Lip Glosses are my latest acquisition from the Too Faced Store at Bluewater alongside the fab Too Faced loves London makeup bag. 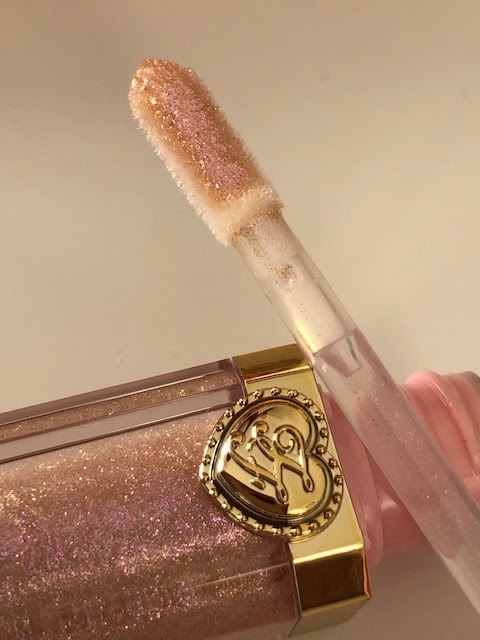 The Pretty Rich range consists of a new eyeshadow Palette, lip glosses and highlighters. Which are obviously all to die for! 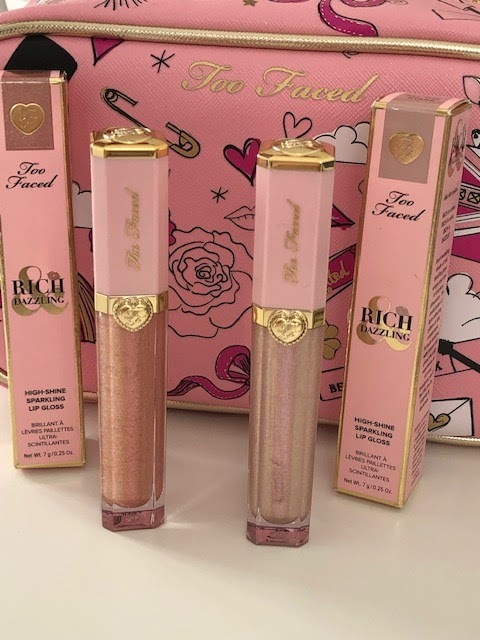 These are the newest of the shades in the range that are only available currently in store or on the Too Faced US site here Too Faced I have bought from the US site here in the UK with no problems at all, postage was around £6.00 there were no customs charges, so if you can't get to a store and want the latest products it makes sense to order it direct. 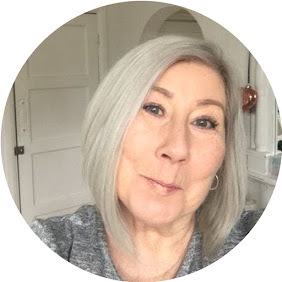 There are 6 shades also on Debenhams Here although gorgeous the ones shown in this post are not yet available. 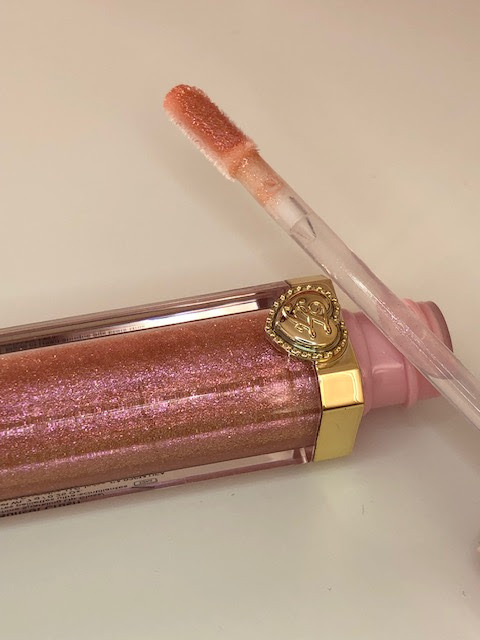 These Glosses have the best pigment and shine of any gloss I have previously tried, filled with light reflecting glitter and pearl. 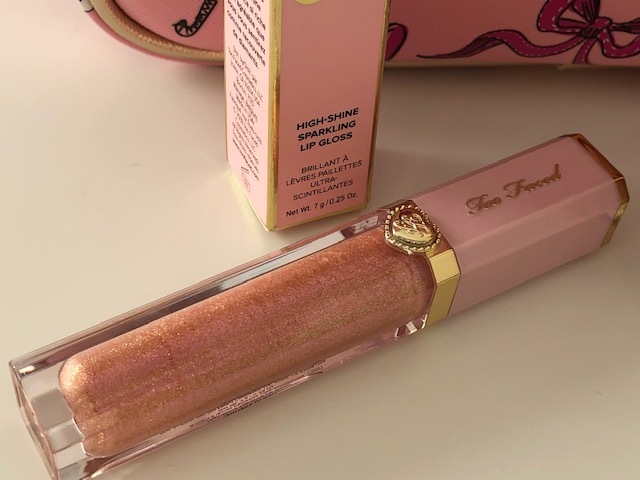 As always with Too Faced the fragrance is fabulous, this time it's a light candy fragrance, they are perfect either worn alone or as a topper over your favourite lipstick. Shown here are All The Stars & Sunset Crush.